Absolutely incredible. I always love b&w photos! beautiful photo and beautiful bird. It looks like he/she is posing for you. This is beautiful;the detail is exquisite–the feathers, the «look» in her eye and there may even be a water droplet on her beak. Very, very nice. Thanks. I think he/she did pose. Definitely. Animals are more clever than we think. 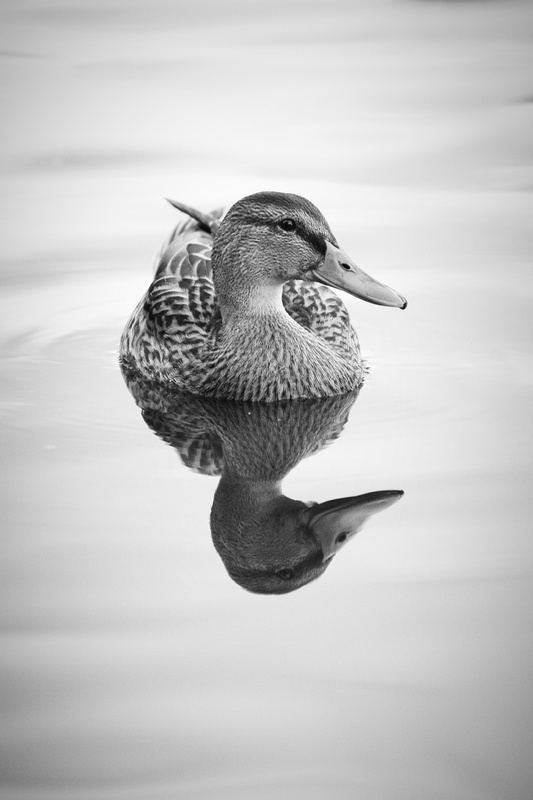 Beautiful Duck photo! Very sharp detail! Wow! Great shot – he is posing. I love the details of this photo so clear so real! DoubleDuck, more fun with pride! That is a terrific, sharp shot! Thank you. A well posed duck!